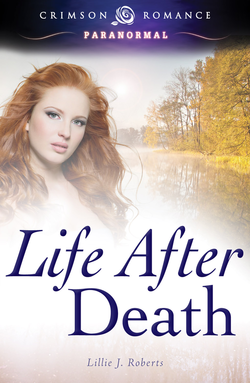 Chelsea Karmikel has led a pretty uneventful life...until she finds herself electrocuted. Now, she's discovered her family's secret heritage. She's a seer of the dead, lending her sight to help those in need. Ghosts are her new reality. Her mission is to encourage those who have lost their way to follow the Watchman, the crazed guide for the Inbetween . . a way station where souls move from one existence to the next. But, there's something deeper and darker than the ghosts who come to her for help. If Chelsea's not careful, those eager to swallow her soul's light may devour her alive. . . if she allows herself be drawn into the Nevernever. When Brad Rearden, a darkly handsome and insufferable private detective walks into her life, he touches off a wild-fire of desire that entraps them both, scorching them with need. Together, they work to solve the mystery of his Aunt Deloris's death, because Chelsea's next on the murderer's list. But who will catch whom - the murderer or Chelsea? Sensuality Level: Sensual, Hot with a sprinkling of Spicy!